You can even see a peek of my design (the bonnet with the rainbow pom-pom) on the back cover! How cool is that? Love how the rainbow thumbs turned out! The collection of 23 knitted baby garments, blankets and toys is, in my opinion, flawlessly put together, everything is super wearable and exciting -- and as Tanis calls is, it's "fuss-free knitting." The other designers that are featured in the book are some of my favorites, so being part of that group was a big thrill. You can see all the designs that are included in the book over here. One of my patterns is published in a book! 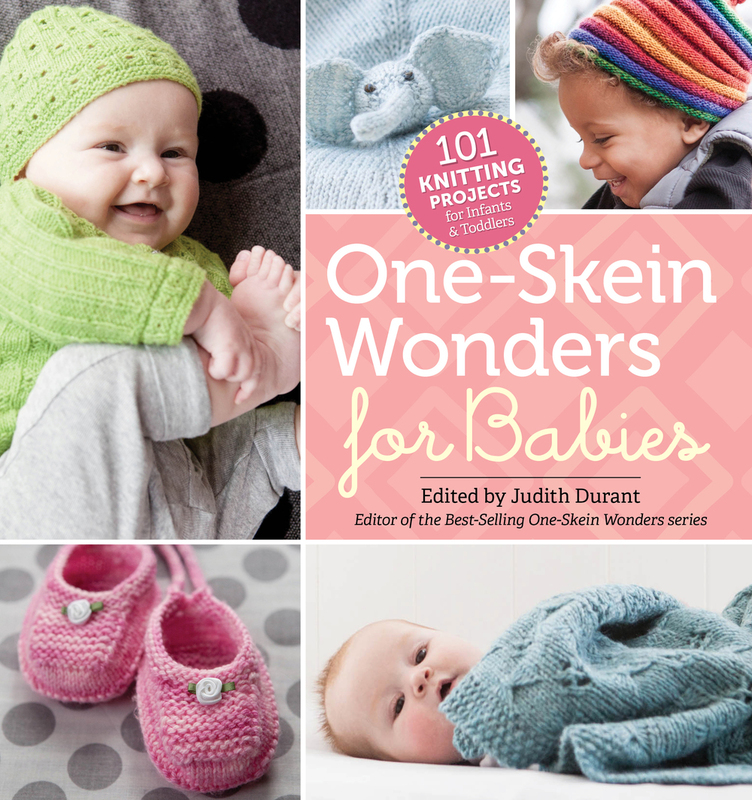 My best-selling Entrechat pattern is now available in a book, 101 One-skein Wonders for Babies, which you can find in any good bookstore along with the other books in the series. It's so much fun to see this pattern, one of my favorites, in print, and I think they did such a great job with the photoshoot. Could the little model be any cuter? Those cheeks! As always, to see more of my designs, swing by my Ravelry store!